Yes, we do have some new, old wonderful music news. 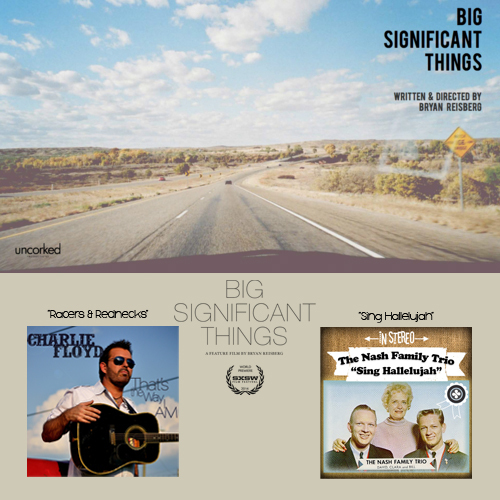 We are thrilled to announce 2 placements in the new feature film, “Big Significant Things,” starring Harry Lloyd from “Game of Thrones.” The film just premiered at SXSW, and is the story of one man’s road trip through the South before moving cross country with his girlfriend. Our very own Charlie Floyd is featured with his racing anthem, “Racers and Rednecks,” and the classic song, “Sing Hallelujah,” by the Nash Family Trio circa 1960 also received a great placement. The latter is part of our new re-issue collection, and the “Sing Hallelujah” 6-song EP is now available on iTunes. If you like some classic, hand-clappin’, good old-timey picking and family harmony, then this is definitely the EP for you. Even if you don’t, you should check it out, and see if you can’t help but smile when the guitar comes in.